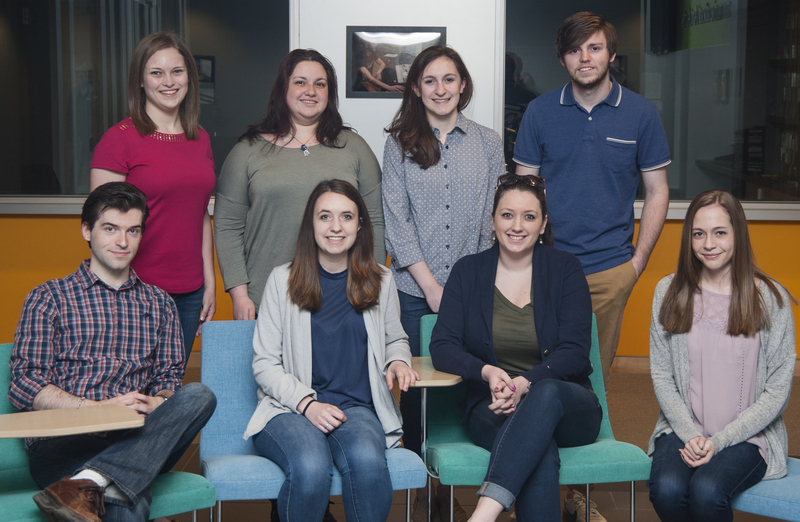 Students who work for The Wood Word will graduate with published clips that can enhance their portfolio and help them land their first internship or journalism job. Stay connected to The Wood Word! Molly edits articles using The Wood Word’s Facebook groups. “Newsboy” Bob talks with students about the latest issue of the paper. Wood Word editors annually attend the College Media Association’s National Convention in New York City. Brigid works on laying out news articles. Selfie! at the 2015 Spring National College Media Convention. Erin and Evan working The Wood Word fundraiser at Friendly’s in Fall 2014. The 2011/2012 staff at the annual Wood Word retreat. Group shot of 2012/2013 The Wood Word staff. Students made fun posters to promote their 2017 Recruitment Day event. Rachel Looker (’17) working in The Wood Word office. 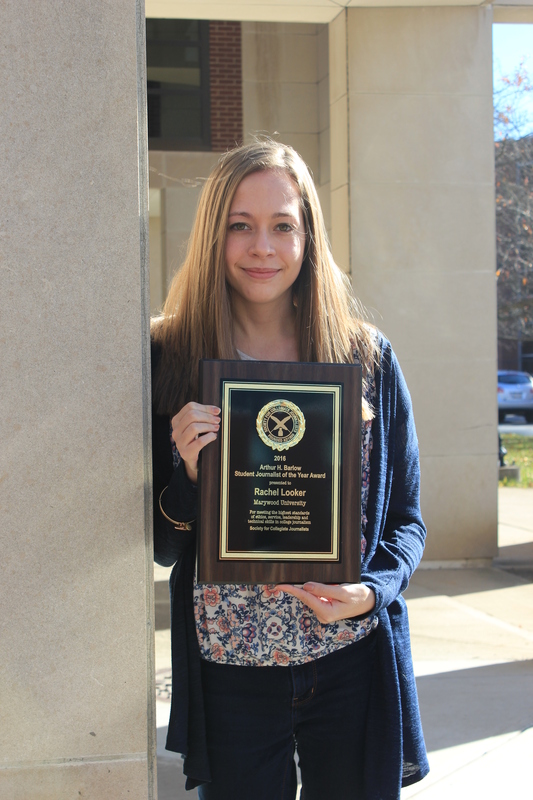 Rachel Looker (’17), Editor in Chief of The Wood Word, was named SCJ’s 2016 Student Journalist of the Year! Third Place in Multi Story News Series: Rachel Looker (‘17), Alex Weidner (‘18), and Jessica Bonacci (‘19) on their Marywood presidential search series. 2015 Chapter with the McDonald Chapter of the Year award! SCJ Outstanding New Adviser: Lindsey Wotanis, Ph.D. Schedule a visit to see our spectacular facilities in the new Learning Commons! Check out our Campus Media! Enter your email address to follow Frame Your Future and receive notifications of new posts by email.